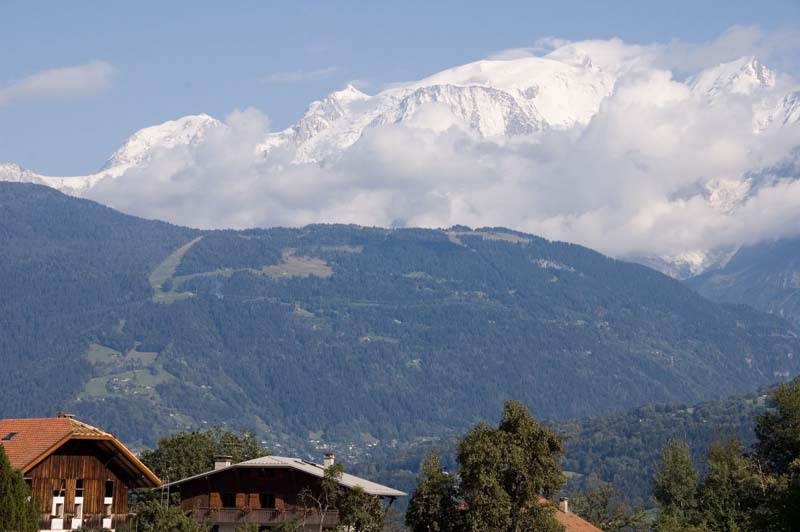 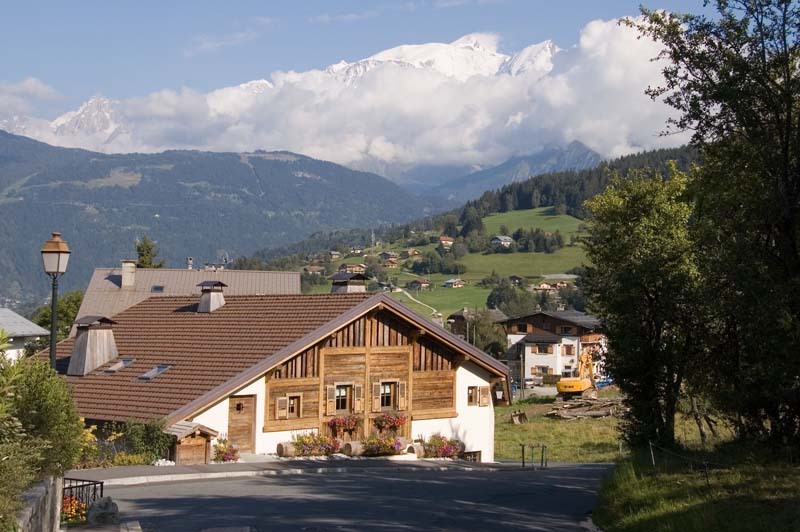 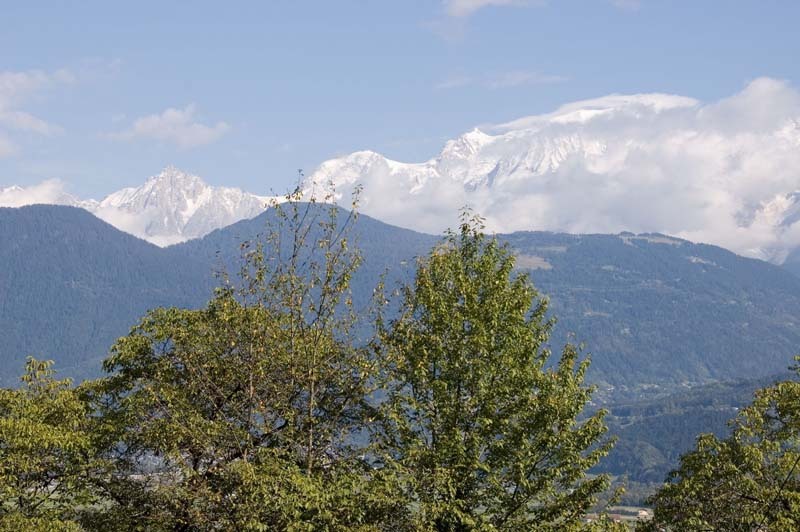 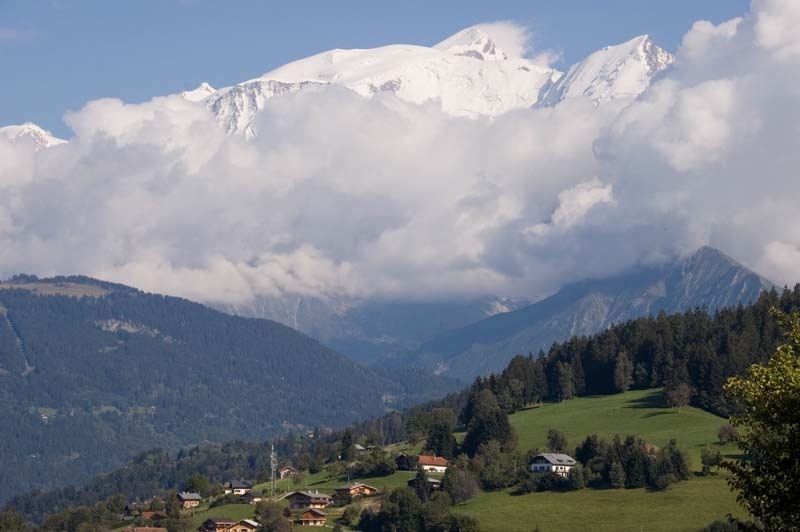 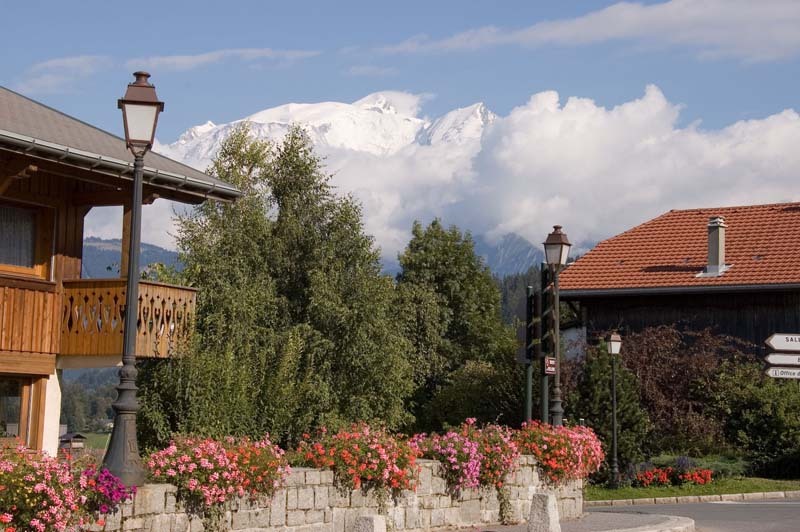 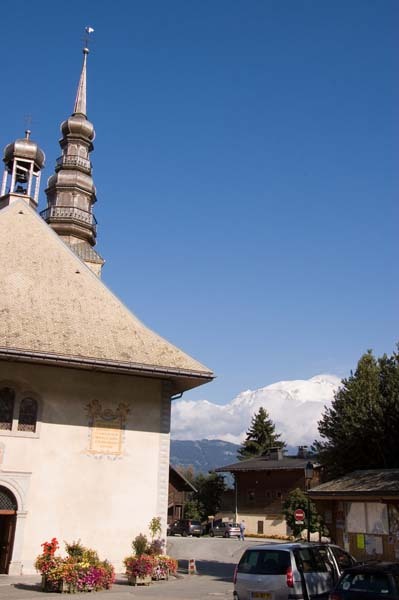 The best views of Mont Blanc were along the road to Combloux. 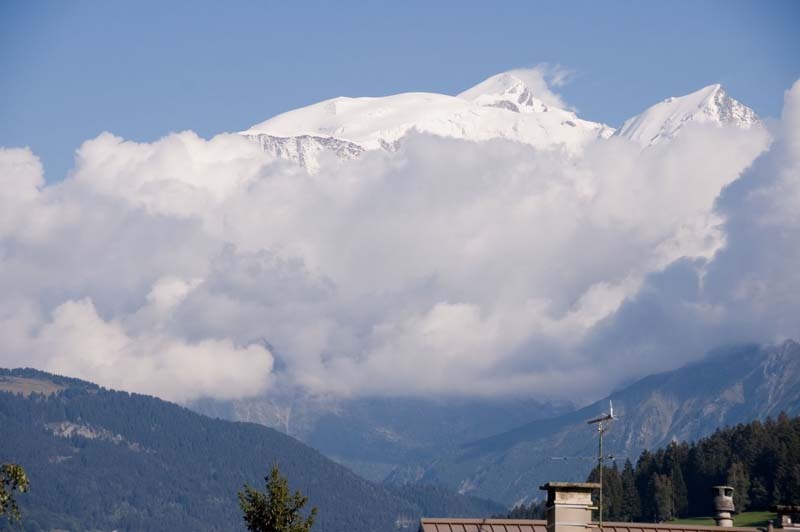 The mountains are still partially hidden by clouds, though. 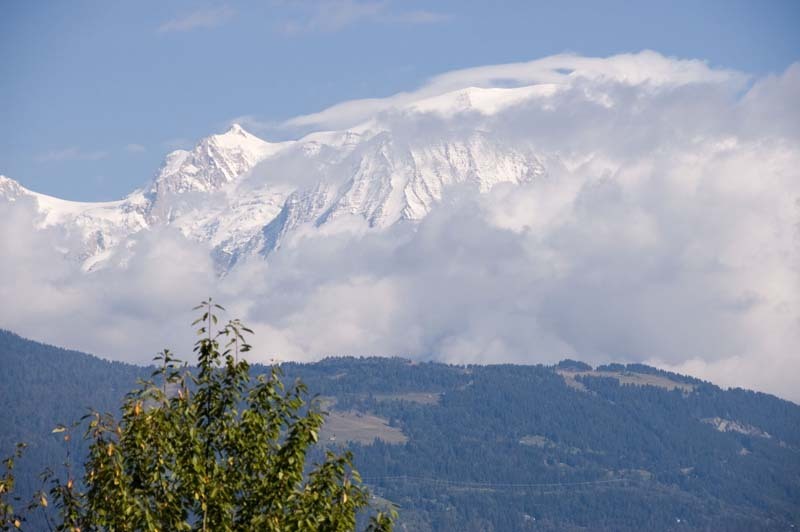 By the time we got to Combloux, the clouds were starting to increase.